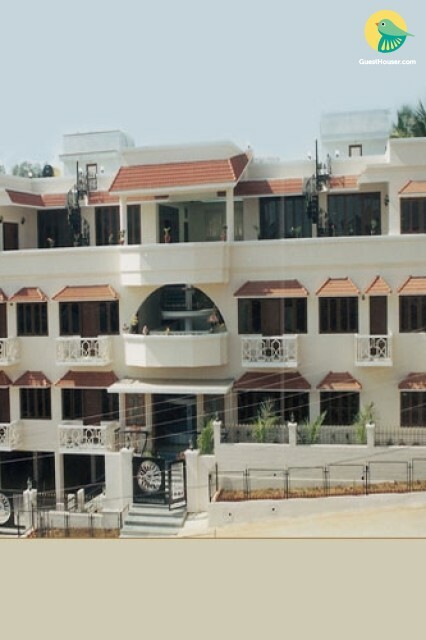 Our property is known as the Hyderabad’s business and family guest house whose unique ambience and unparallel standards of hospitality is spell bound. Our place is right place for your office staff / family to stay when they come to Hyderabad. Atour property you are treated as royally with a warm welcome by pleasant decor you will realize that you are in the lap of opulence. Golden Glory still carries the youthful zest of serving its clients with utmost care. our place is an elegant authentic guest house and it has made every possible effort to make your stay in Hyderabad comfortable and affordable. Located in Banjara hills - Hyderabad, the heart of the city, we will make your stay truly memorable with both elegant and comfortable accommodation. At our place you would meet a very helpful and courteous staff to make your stay as comfortable and memorable as possible in Hyderabad. When you can get a room at surprisingly low price and expectedly with great quality of service, food and lodging, can you afford to miss it..? This place have spacious rooms and very clean rooms. Rs.500 chared less for non-AC rooms and kitchen is common.